An eye-clean, bright 7 x 5mm, natural citrine. 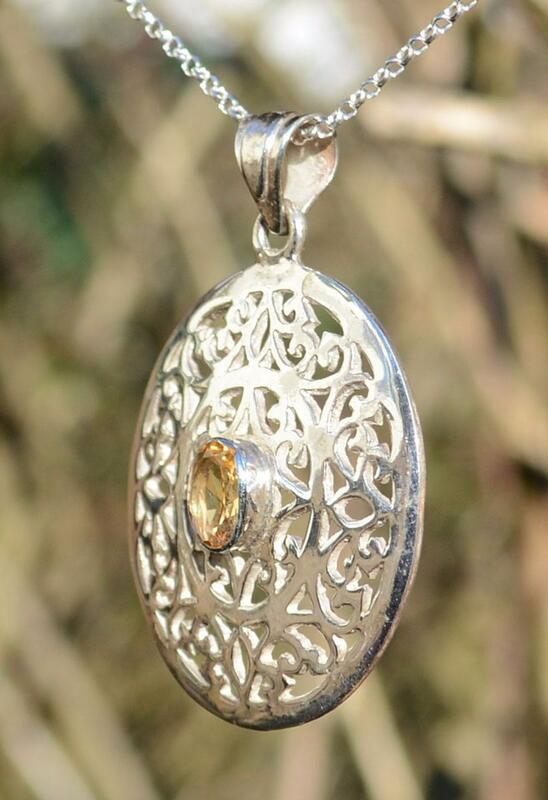 Handpicked in Jaipur and handset in a beautiful sterling silver design. 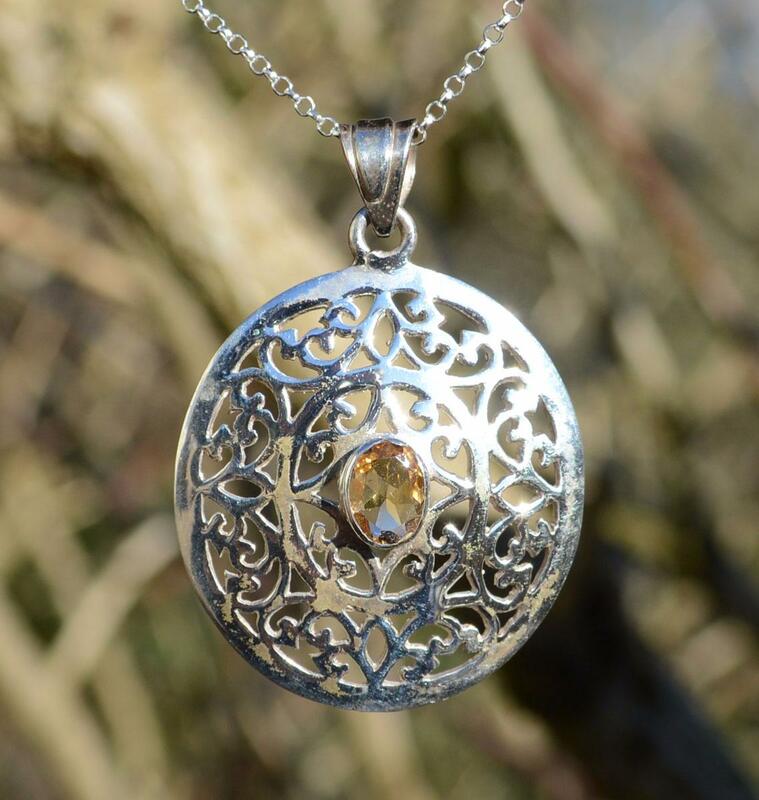 "Citrine activates opens and energises the naval and solar plexus chakras, directing, via personal power, creativity, and intelligent decisiveness, the energy necessary to enhance the physical body. It stimulates both mental focus and endurance." "Citrine is one of the two minerals on the planet that does not hold and accumulate negative energy, but dissipates and transmutes it. It emits an elevated energy which provides one with supplemental initiative coupled with emotional balance. It stimulates the intuitive self and promotes contact with the higher forces of intelligence.” Melody, Love is in the Earth.